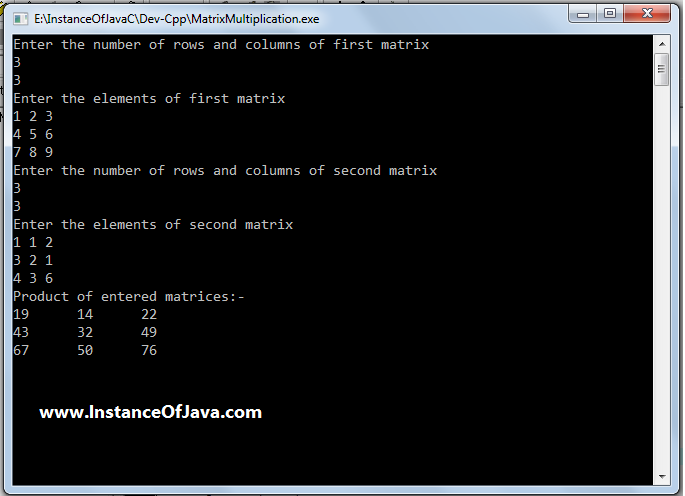 Two for take input from user for matrices one for capture multiplication of two matrices result. Read from keyboard using scanf() function in java. and store all the elements (rows*columns) in first matrix using two for loops. Now take two more loops for rows of first matrix and columns of second matrix.